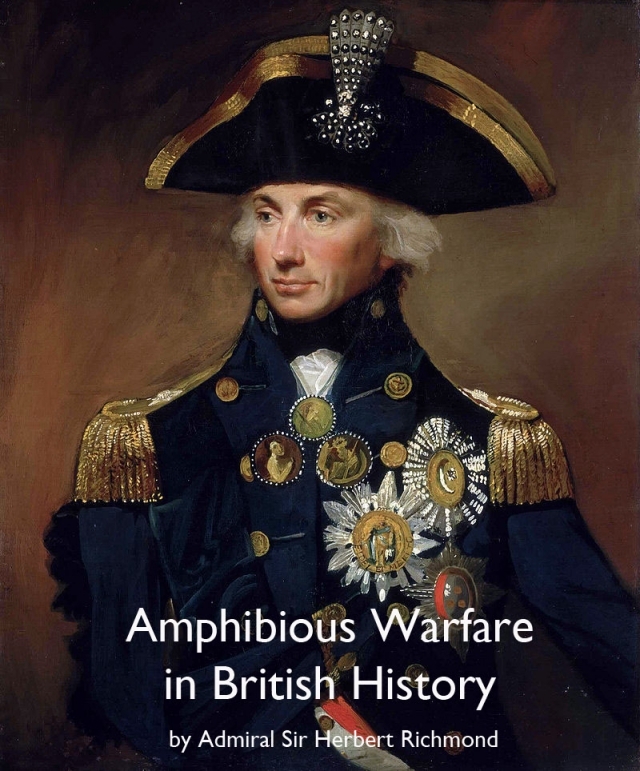 The term "Amphibious Warfare" was adopted a few years ago to indicate a form of a strategy of which the characteristic was the descent of the sea-borne armies upon the coasts and ports of an enemy. It is not a method peculiar to Great Britain, for all maritime nations from the earliest times have conducted oversea expeditions, but it is one which figures prominently in British wars because of its adaptability to the armaments with which, owing to her insular condition ,Britain provides for her own security : to wit, a powerful navy and a comparatively small army. Expect in the case of nations whose policy is one of expansion and aggression, a nation's armaments are dictated by the needs of defence. Security,however,cannot be obtained merely by the passive process of resisting attack, whether from behind a Chinese, a Roman, or a Maginot wall ,or a broad moat like the English Channel or the North Sea. It never is enough to confine the operation of defence to warding off blows: a process in which the enemy enjoys all the advantages of the initiative, of inflicting damage without suffering any, and of attaining positive results. Passive defence produces no positive results, exerts no pressure upon the enemy, and gives no help to an ally. An active defence forestalls the enemy's plans, deprives him of freedom to strike, threatens him with, and inflicts, losses. One form of Britain's active defence and cooperation with her allies has been amphibious warfare. "The fleet and army acting in concert," said a writer on Conjunct Expeditions in 1759 "seem to be natural bulwark of these Kingdoms."